It should come to no surprise that every women wants to feel desirable, look beautiful and confident. At the Hair Studio we are so excited to be able to offer women the finest in luxury virgin and European hair wigs. For decades we have offered custom 100% virgin hair and European hair wigs to women suffering from thinning hair and hair loss. 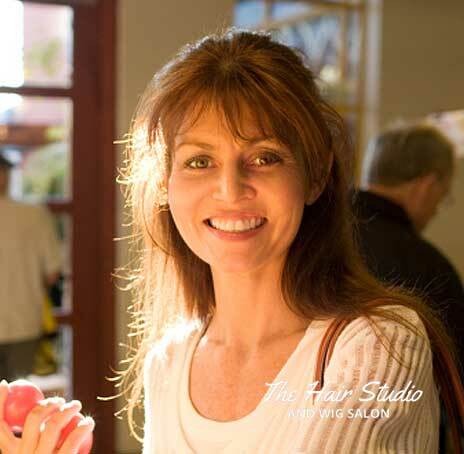 We have the experience to help you regain beautiful hair. If you are looking for something that can give you exceptional comfort, be light weight, and will move freely, and be able to style then there is nothing like a 100% natural, custom human hair wig. Each of our wigs are made with the finest processed human hair that is hand knotted. Our human hair wigs for women offer a comfortably that you simply have to see for yourself to really understand how amazing they really are. We also offer women in the East Boston area, a full range of beautiful synthetic wigs that are designed for women with all forms of hair loss, whether it be from chemotherapy treatments, alopecia, or genetics. Synthetic hair and blended wigs can be a great addition to your hair wardrobe. They require minimal maintenance and styling so they are always ready to be worn, even on a minutes notice. If the reason you are looking for a wig is due to medical reasons like women that suffer thinning hair because of alopecia, rest assured we take great pride in helping women in the East Boston area quality wigs that can be worn anywhere.